First, we need to differentiate between a few types of sleep problems in order to give you the correct recommendations. If you are having trouble falling asleep (called primary insomnia), all ten of the recommendations that follow will be very helpful for you. Difficulty falling asleep is usually associated with anxiety and/or poor sleep habits, so addressing these issues will help you overcome the problems you face. If you are having trouble staying asleep (called maintenance insomnia), the first four of the following recommendations can be helpful. Difficulty staying asleep is often related to depression and/or sleep disorders (such as sleep apnea) and may require consultation with a doctor who is likely to order a sleep study. If the first four of the recommendations do not bring relief within a few weeks, I recommend that you schedule an appointment to see your primary care doctor to further assess your sleep problems. 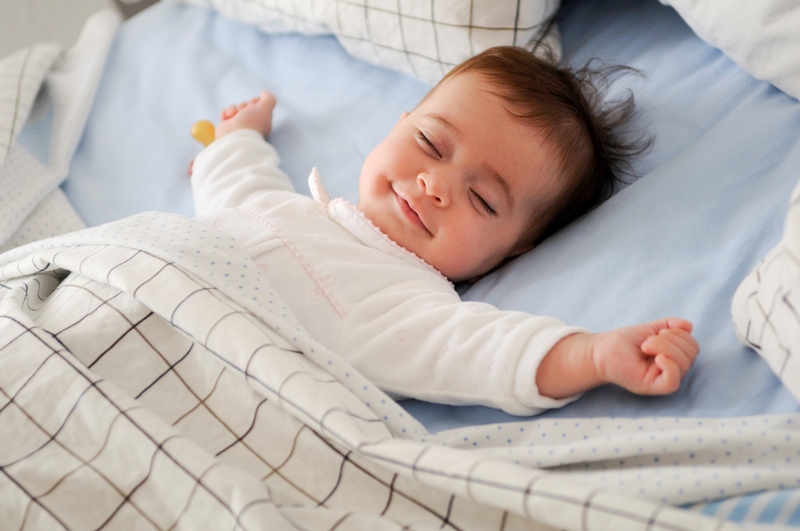 Your body is designed to initiate sleep, basically like a reflex. When we are experiencing difficulty with sleep, it is usually because we are doing things that interfere with this reflex. Creating and maintaining healthy habits that encourage sleep is referred to as sleep hygiene. The following ten suggestions will help you have healthy sleep hygiene in order to fall asleep in a timely manner and get the good quality sleep you seek. 1) Establish consistent sleep and wake times. Your body has a natural ebb and flow of energy throughout the day and night that is called your circadian rhythm. When it is functioning correctly, it will help you wake up and become alert in a timely fashion in the morning and get tired and ready for sleep at night. If you find yourself wide awake and fully alert past the time that you were hoping to be asleep, there is an issue with your circadian rhythm. The things that we do that can throw this off are a lack of what are called anchor points. Anchor points for our circadian rhythms are the following: sleep time, wake time, meal time, and… well… #2 time. Being as consistent as possible in each of these areas can help stabilize your circadian rhythms. Meal time and time for bathroom breaks are pretty straightforward, but sleep and wake times can be a bit trickier. One of the biggest barriers that I see people stumble over is by trying to make too big of a change. If you currently stay up until 2:00 am but set your goal as being in bed by 10:00 pm, you are likely to be unsuccessful because it is too dramatic of a shift. The best way to approach this is to start where you are and be consistent with that time. So, based on the example above, you would aim to be in bed each night at 2:00 am. This is 7 days a week, even on weekends when you could stay up later. Remember that consistency is the main key here. After you have corrected your sleep problems, you may be able to go back to having a different bedtime on weekdays versus weekends, but while you are trying to correct these problems, it needs to be the same bedtime every day of the week. After a week of getting to bed at 2:00 am, you then move it up by 15 minutes (so 1:45 am in this case) and do that for a week. Each week you move it up another 15 minutes until your bedtime is at the desired time (10:00 in this example). I do want to acknowledge that this process takes time, a lot of time. Using this method, every one hour of earlier or later bedtime takes a month. Therefore, to go from 2:00 am to 10:00 pm would take 4 months. While it may be difficult to dedicate this amount of time to this issue, it is what is required to ensure success. 2) Eating. Obviously, we need to eat in order to provide our body the nutrition it requires to keep us going. However, there are some aspects of eating that can interfere with getting good quality sleep. This mainly has to do with the timing of when we are eating as it relates to our bedtime. A general rule is to try to allow at least 3 hours between a meal and bedtime. While having a full belly can induce a sense of drowsiness, this full belly can disrupt our ability to fall and stay asleep. It is ok to have a bedtime snack (especially things that contain tryptophan, a natural sleep inducer, like milk or turkey) if your hunger would keep you awake. 3) Exercise. Getting moderate to rigorous exercise at some point during the day can be a tremendous help when it comes to sleep at night. You are more likely to be physically exhausted, which can aid you in falling asleep quickly. You are also more likely to feel that you productively utilized the day by getting a workout in and are therefore less likely to have your mind start recounting all the “to-do’s” for the next day. While getting exercise can be helpful, the timing matters here. Avoiding this exercise in the four hours before your bedtime is recommended. If you exercise too close to bedtime, you are likely to still be revved up and unable to fully wind down in order to initiate sleep. 4) Comfortable sleep environment. Ensuring that your bedroom environment is conducive to sleep is another area to key in on. This entails getting a comfortable mattress, pillow and sheets. While some of these can be pricey, especially the mattress, it will be a wise investment if it helps you overcome your troubles with sleep! Doing what you can to make the room a comfortable temperature to you is another good move. If you find yourself waking several times during the night due to discomfort, one of these issues is a likely culprit. Some other areas to consider are light and sound pollution. Ideally, having a completely dark and silent environment is recommended, but some people need a night-light or some ambient noise. For those that use the television to provide both light and sound, there is compelling evidence to suggest that this is more disruptive to your sleep than you may think, even if you think that you are not paying any attention to this stimuli. Having non-language based sounds such as a fan running or a noise machine is a much better approach. 5) Light exposure. Our circadian rhythm is, in part, controlled by how our optic nerve is stimulated by light. Artificial light by way of the light bulb is a very recent development for humans, having been around for only about 100 years. Previously, non-sunlight light was quite dim by comparison, being provided by oil lamps or other fire-based sources. Therefore, the amount of stimulation our optic nerve receives now is exponentially higher than it had been for the vast preponderance of human history. Our body and brain developed to initiate sleep when it became dark and this system worked well for generation after generation… until the light bulb, television, smart-phones, and tablets were created which bombard our optic nerves with a near-constant stream of artificial light. Our body and brain is unable to distinguish this light from actual sunlight, so using these sources of artificial light after sunset can disrupt our natural ability to regulate our sleep. With this in mind, it is best to limit our exposure to the lights in our house and our usage of light-producing tech devices (such as the television, cell phone and tablets.) In addition to limiting our use of these things, it is also a good idea to dim our lights (either through the use of a dimmer switch or by switching off certain lights) and decrease the brightness settings on our electronic devices in the two hours before bedtime. 6) Caffeine intake. Caffeine is fairly ubiquitous in our diets. If you are anything like me, you are likely to be ingesting caffeine often without realizing it or purposefully consuming it. We may be using it out of routine (our morning cup of coffee) or just because we like the flavor of the food or drink that contains it (chocolate or soda). While it is omnipresent, it is also a fairly powerful stimulant that can certainly interfere with our ability to sleep. People are sensitive to caffeine to varying degrees, but if you are having difficulty falling asleep, it is best to consume no caffeine after lunch. That allows your body plenty of time to process out whatever caffeine you have ingested during the early day. 7) Body temperature. Part of what drives our circadian rhythm is our body temperature. A slight raise in your body temperature is associated with alertness and your body will shift to a slightly lower body temperature when you are getting sleepy. Knowing this, you can do certain things to manipulate this in your favor. Taking a hot shower or bath around a half-hour before your bedtime will initially raise your body temperature. Your body will respond by working to lower your body temperature and therefore help you feel drowsy and ready to fall asleep. The same principle is at play when you drink a warm beverage (such as tea or warm milk). However, you would obviously want to pick a non-caffeinated drink if you are going to use this technique, though. 8) Pre-bedtime activities. We are creatures of habit. Keeping this in mind, having a bedtime routine can be a very important thing in order for you to address your sleep difficulties. It is interesting that we typically recognize the importance of this when it comes to our children. We have them take a bath, brush their teeth, comb their hair, get into jammies, read them a story, get them a glass of water and then tuck them into bed. We likely follow this routine each bedtime and any deviation from this routine will evoke an objection from our children. Basically, with each completed step, we are moving a step closer to the point where they will shut their eyes and (hopefully) fall asleep quickly. Yet we rarely take this approach with ourselves. Each night may look different. Sometimes we will watch TV, other times we may read for a while before bed. Setting up a predictable, and repeatable routine that we follow each night can help us make the transition from the waking to sleeping phase of our day. Another issue is to try to only do activities that are tiredness promoting. If you are watching compelling television shows, reading a gripping book, or engaging in evocative conversations, either in person or via electronic means, these are activities that may promote alertness and interfere with you to falling asleep quickly. 9) No clock watching. When we are having difficulty sleeping, it is common to check the clock to see how long we have been trying to fall asleep and to compute how long it is until we have to wake up to start the day. This is disruptive in two key ways. First, engaging the cognitive faculties to do this math requires alertness. You have to wake up to a degree in order to complete this task and that interferes with the process of falling asleep. Second, you are likely to feel anxious or stressed as you do this computation, not relaxed. This is also moving us away from the state of sleep. If you have difficulty adhering to this suggestion, perhaps moving the clock you check, whether it be an alarm clock or your cellphone, into another part of the room where you can’t see or check it–or out of the room completely in the case of cellphones. Clients of mine who have done this seemingly radical step have reported to me that it had a tremendous positive effect on their sleep and overall level of stress. 10) The 15 minute rule. This suggestion may seem to conflict with the previous one, but we will explore how to synthesize them. In essence, the idea here is that you limit any time spent in bed trying to fall asleep to no more than 15 minutes. Here, we define “trying to fall asleep” as having the lights out with your head on your pillow. It does not include any other time that you may spend in the pre-lights-out rituals that comprise your bedtime routine. Now, obviously, you do not want to be looking at the clock with every passing minute and trying to keep tabs on how long it has been since you turned the lights out. That would violate suggestion #9. Instead, rely on your innate sense of the passing of time. You are likely to be fairly good at predicting when approximately 15 minutes has passed. If you are not asleep or feel that you are well on your way to that state, then get up and get out of bed. Ideally, you will get out of the bedroom and do something else until you feel tired again and ready to give falling asleep another shot. When selecting your activity to do in the meantime, keep all of the above suggestions in mind. 11) Deal with bedtime worries appropriately. Many sleep problems are caused by our minds racing when we lie down to go to sleep. Unfortunately, given the busy and often over-stuffed nature of our schedules, bedtime is really the first time we have any quiet time in our day. Therefore, we may be bombarded with a myriad of things we need to remember to do, problems we need to solve, worries we need to worry about. Sadly, none of these thoughts are conducive to falling asleep. They are more likely conducive to an ulcer-inducing, near-panic state of mind where sleep is the furthest thing from what is going to happen. To deal with this worry-keeps-me-from-sleeping problem, you will want to implement two main strategies. First, find some other time in the day, preferably at least a half hour before bedtime, to sit down and worry. Find a quiet spot (even if that means locking yourself in your bathroom) and remove any distractions (that means no phone, TV, books or magazines). You can then invite the worried thoughts to come in. I recommend using the worry once and worry well technique described in the earlier blog about worry. Second, keep a pad of paper and a pen next to your bed. If a worried thought pops up while you are trying to fall asleep, jot it down and say to yourself, “I have written this down so I won’t forget to address it tomorrow.” If the worried thought keeps you up even after you have done this, then you need to follow rule #10: the 15 minute rule. An important part of this second strategy is that you actually address the worry the following day. If you fail to do so, you will know this in the back of mind and will not trust the process of writing it down, rendering this strategy ineffective in the future. By following these eleven suggestions, you should be able to change your dysfunctional relationship with Mr. Sandman into a healthy one. Typically, to correct a sleeping issue, you will need to put forth considerable conscious effort to consistently follow these eleven suggestions for approximately a month. At that time, you will likely to be able to relax your efforts a bit as your body will have adjusted to the new healthy sleep patterns you have established. However, if you notice that your sleep problems are returning, you will need to get back to consistently following these guidelines. Good luck and sweet dreams! Great strategies. Especially the 15 minute rule. Thanks Nate.